Chicana and Chicano Studies lost another warrior in June 2018! The San José community received the sad news from Joseph Villa, the son of José that his father had passed. We include his obituary here because it is important to remember the ones who came before us and whose courage, commitment and labor allowed us not only to develop an academic field of Chicana and Chicano Studies, but also to institutionalize departments and programs. 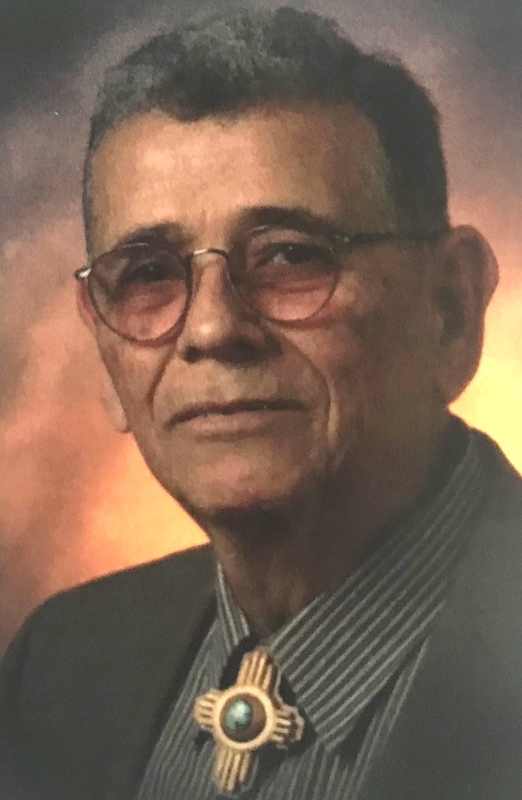 At San José State University, Jose Villa was one of the founders of the first Mexican American Studies graduate program in 1969, with the name Mexican American Graduate Studies. On July 19 Kathy Blackmer Reyes and I were in a community of southern Colorado engaging in research and made a pilgrimage to the New Mexican town of Alcalde to attend the mass and reception for Profesor Villa. The ceremony was moving and inspirational. It was amazing to learn about this gentleman who committed all of his adult life to bettering the lives of others, preserving his culture, and making the pathway for race and ethnic studies. At the reception we were asked to leave a written memory of our awareness or interactions with José. I concentrated on being thankful for his work and for his inspiration. I met and spoke with Joseph and promised to follow up on the development of an archive of his father’s work at SJSU. I offered him my NACCS pin because without José Villa, his contributions and actions in the years of what his family states was “the Chicano Revolution” we would not have a present or a future as Chicana/ Studyists. I was especially moved by the acknowledgement that my home department of Chicana and Chicano Studies at SJSU was inspired by activist people who were dedicated to work and not only to their personal professional development. José Villa and his fellow revolutionaries (including Dr. Ernesto Galarza, Dr. George Castro, Dr. Hector Cordova and many others) were in fact professional in every aspect of their collective work in the community. They used their research skills to develop their positions, to introduce policy, and to make demands on various institutions. I am thankful that Profesor José Villa made it possible for me to come many years later. I pledge to continue his work in the most humble manner – recognizing that much of the heavy lifting of institutionalization had taken place. Following his memorial I left Alcalde and his family with the renewed commitment to not forget the ones that offered their lives to ensure we can engage in our academic discipline but not without a commitment to our people and our culture. His grandson Jesús helped me to focus while he sang with a beautiful Spanish baritone voice as he strummed on his guitar, las canciones de su abuelo activista. Thank you, Profesor José Villa for your faith in us. Que en paz descanse compañero! This obituary was shared with me by his son Joseph Villa. José Augustín Luz Díaz de León Villa, 87, longtime resident of La Villita, NM, died peacefully at his adobe home on June 27, 2018, surrounded by his loving family. The last of his generation, he was preceded in death by his parents, Encarnación and Luz Díaz de León Villa, seven brothers and seven sisters. He is survived by his wife of 62 years, Clare Cresap Villa and his eight children: Daniel (Jennifer), Mariluz (Tom Reynolds), Christopher (Margo), Gregory (Lisa),Virginia (Michael Hansen), John (Meli), Joseph (Kathleen), and Angela (Thollem McDonas); thirteen grandchildren: Jesús (Lily) Villa, Cipriano (Devin) Villa, Roxanne Jackson, Joseph Reynolds, Nicolás Villa, Emma Villa, Samuel Villa, Artemis (Matt) Ettsen, Persephone Eglaine, Alejandra Villa, Jessica (Christopher) Carbajal, Louis Villa and Lydia Villa; one great-grandchild, Lilith Ida Ettsen; numerous nieces and nephews of several generations, and a grateful community of co-workers and friends. José was born in Clovis, NM, to Mexican immigrant parents with whom he and his siblings worked the cotton and broomcorn ﬁelds of Eastern New Mexico and West Texas for many years. He attended Our Lady of Guadalupe elementary school and Sacred Heart High School in Clovis, as well as St. Francis Seminary in Cincinnati, OH. He earned his BA in Inter-American Affairs from UNM in Albuquerque, his MSW from Arizona State U in Tempe, AZ, and his MA in Education from San José State U. in San José, CA. In 1955, after completing four years in the Air Force serving in Korea and Japan, he married his high school sweetheart, Clare, and began on a life journey which took the family to Lovington and Albuquerque, NM, Yuma and Phoenix, AZ, San José and Felton, CA, until his retirement in 1992 when the couple returned to New Mexico to live in the adobe ruin in La Villita that they and their extended family had been restoring every summer since 1982. José, a gifted community organizer, left his mark on every community that he touched. He helped develop the Community Council in Phoenix at the time of the War on Poverty under President Johnson; after appointment in 1969 as the ﬁrst faculty member of the School of Social Work at San José State University in San José, CA, he helped in the formation of that School, taught Community Development classes for many years and served as Interim Dean for two years. He developed the Mexican American Community Services Agency into a major force in San José during the Chicano Revolution in the 1970’s, and served two years as director of the Mexican-American Graduate Studies Department at SJSU. He also worked several years for the San José Uniﬁed School District in Bilingual Education projects. Shortly after retiring to the Española area, he co-organized the Española Valley/Los Alamos Habitat for Humanity group, which continues to thrive enthusiastically in the community. He worked two years for the Española Middle School as Parent Liaison, after which he set about uniting the local faith communities to take action against drug abuse in the Interfaith Leadership for the Advancement of all People (ILEAP) effort. He lobbied on behalf of AARP for two legislative sessions and helped raise funds for many local non-proﬁts including the Española Valley Arts Festival and the Abiquiú Library. His last, and perhaps most beloved, project targeted designation of the northern Rio Grande as a National Heritage Area, which was achieved after many years of preparation by a dedicated group of local heritage aﬁcionados. He was a devoted member of the Hermandad at the Morada de Nuestra Señora de Dolores del Alto in Abiquiú, NM, as well as a Lector and Eucharistic Ministerat St. Anne’s Church in Alcalde. Rivera Family Funeral Home is in charge of cremation. Memorial Mass will be celebrated at St. Anne’s Church in Alcalde at 9:00 AM on Thursday, July 19, preceded by a Santo Rosario at 8:00 AM led by his Hermanos from Abiquiú and followed by a reception at 10:00 AM at the Oñate Center in Alcalde. The family requests that in lieu of ﬂowers donations be made to Habitat forHumanity Española/Los Alamos (726 N Riverside Dr, Espanola, NM 87532:www.habitatevla.org) or St. Mary Indian Mission (P.O. Box 39, Tohatchi, NM87325; stmarytohatchi.org).